The thought of adding a second story to a one-story home may sound impossible, but it is fact one of the most dramatic home additions one could possibly undertake. Increase the floor space, the number of bedrooms, and the value of your home by raising the roof and adding a beautiful new second story. Reliant Construction are the experts in second story additions, and have been building home additions for clients in the greater Houston area since 1997. Call 281-789-4308 or contact us online to get a free estimate. The sky is the limit as to what you can do with your new second story. Do you want only one room to turn into a study or entertainment room? Or perhaps you would like to raise the roof of your entire house to add more bedrooms or bathrooms for guests, children, or to make arrangements for elderly family members to live downstairs. Reliant Construction is dedicated to providing you with your dream home. We will construct any necessary structures such as staircases, elevators, or specialized flooring as you need or want. 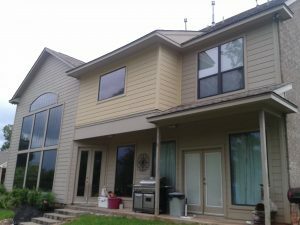 The outside walls will be matched to the best of our ability to your existing home with any siding and paint color you current have installed.